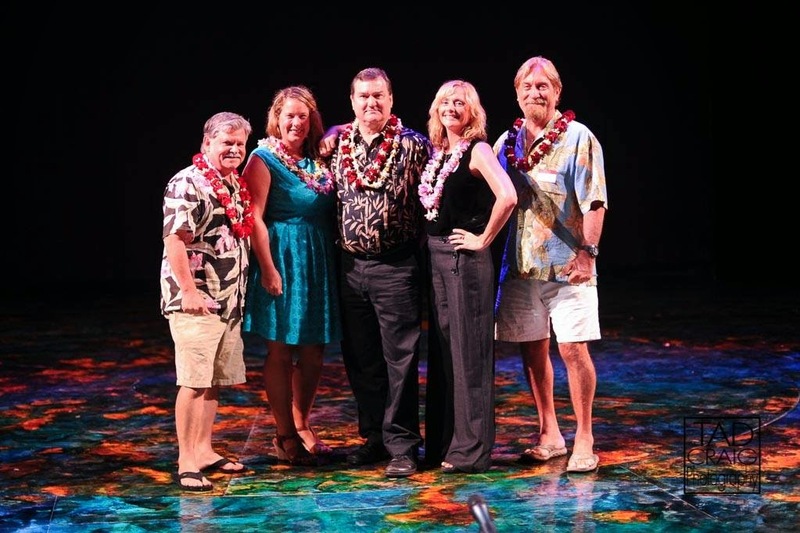 At their annual meeting in June, the Maui Wedding Association Elected their 2014-2015 Board of Directors. Headed by President Tambara Garrick, who is taking on a second term after a prosperous year and very successful Maui Wedding Expo. Vice President Tim Clark, who is familiar with this position after being the VP for 7 years along with 2 years as President. Welcome back Treasurer Scott Hughes who is also taking on a second term as Treasurer. Also as Secretary, this is Kymberly Marr's second year on the board. Last year she was a Director and helped with the Maui Wedding Planner magazine and Maui Wedding Expo. Also taking on a second term as Director is Ginny Morgan (not pictured), who is a top Maui harpist and musician. Jean McMahon (not pictured), photographer and part of the DMI Video team was also elected as Director. Finally, David Webster was also elected as Director for the first time. David, who recently moved here from Southern California, purchase a wedding company who has been a long tome member of the MWA. Congratulations to all of these professionals. Have a great 2014-2015 year! Pictured from left to right: Tim Clark, Tambara Garrick, Scott Hughes, Kymberly Marr & David Webster. The Maui Wedding Association is made of of over 150 wedding professionals in Maui. We represent the top wedding vendors on Maui, which are all bound to the highest code of ethics in our dealings with clients, the community, and ourselves. The association produces an award winning magazine annually with a 17,500 (cir), and arranges Maui´s only Wedding Expo, which attracts around 50 top wedding vendors to exhibit to a crowd of 900 wedding couples each year. Members meet monthly at a variety of venues and restaurants to network and discuss important issues of the Maui wedding industry.